I AM VERY pleased today, this is a step forward. Those were the words of Catherine Corless today, the local historian who helped uncover evidence that there were up to 700 children and babies buried in an unmarked grave in Tuam in County Galway. In March, “significant remains” were found in what appeared to be a sewage container at the site of the former mother and baby home in the Galway town of Tuam. A Commission of Investigation was quickly established to conduct searches at the site. Today, Children’s Minister Katherine Zappone announced the appointment of a team of international experts to investigate the burial site at the Tuam mother and baby home. An Irish-based forensic archaeologist, a US-based forensic anthropologist and a UK-based forensic scientist have been enlisted to be part of the team that examines the burial site. The minister also said she was considering broadening the terms of reference for the independent commission investigating mother and baby homes to “help to answer some of the questions which have been raised again in public debate”. Speaking in the Dáil today, Minister Zappone said that while the independent commission was preparing its full report on the matter there is a need to develop a “comprehensive understanding into the truth of what happened in our country”. The team will be led by Dr. Niamh McCullagh, whose experience includes work with the Independent Commission for the Location of Victims’ Remains in Northern Ireland and the Joint Prisoner of War/Missing in Action Command that aimed to locate the bodies of war dead. She also has knowledge of the Tuam site having conducted preliminary examinations of the burial chamber there. Speaking to TheJournal.ie in March, Corless said the ideal would be to take the remains of the children and bury them in the main Tuam graveyard, “where they should have been buried in the first place”. Today she said Minister Zappone has brought them one step forward to that becoming a reality with the appointment of the international expert. She [McCullagh] will know if it is possible to excavate and if a scan can be done on the whole area. I have always said, ‘find them all’. There is no point just looking at the ones they have found. I am very adamant that there are more remains in the playground area (located next to the site). The minister has done all she possibly can, she hasn’t dilly-dallied. But today is about Tuam. Zappone told reporters this afternoon that McCullagh will identify the options for government, looking at the possibility of exhuming the remains and identifying if there are any further remains on the site that have yet to be discovered. The minister said the possibility of identifying the remains through DNA testing is also being explored. The Children’s Minister said the work to be carried out is very “complex”. “This things take time to do right and I am determined that they are done right,” she said. Zappone has also enlisted the aid of DCU legal expert Dr James Gallen to draft a strategy that would “seek recognition for the experiences of former residents, promote civic trust and serve to re-assert the fundamental value of the rule of law in our democracy”. Regular updates on the progression of these teams will be provided, the Minister said, with plans in place to provide a monthly update on her Department’s website on the first Friday of every month. Despite speculation that there could be a Cabinet reshuffle in the coming weeks under a new Fine Gael leader, Corless said she is not concerned there could be a new TD taking over from Zappone. “Pressure is on the government to act , countries around the world are watching,” she said, adding that media outlets such as the New York Times and other international publications are keeping a close eye on how it progresses . Due to increased media attention on mother and baby homes over the last few months, the minister added that there has been an increase in demand for access to records from members of the public. “I asked Tusla, the Child and Family Agency, to enhance its capacity for the provision of information to assist former residents who may wish to establish when they resided in a mother and baby home. My Department has worked with Tusla to progress this matter as quickly as possible and I am pleased to confirm that the work will commence immediately. 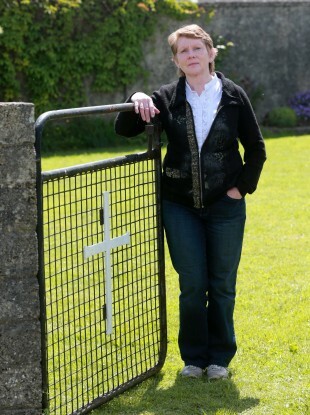 Email “'Today is about Tuam': Catherine Corless commends Zappone for appointing experts to investigate burial site”. Feedback on “'Today is about Tuam': Catherine Corless commends Zappone for appointing experts to investigate burial site”.